To sign up for gleanings and other volunteer opportunities, please visit our Volunteer Calendar. It’s all about the bag! We’re very excited to announce our partnership with Whole Foods Market…with a program that reduces impact on our environment and helps local non-profits like us! April through June, Whole Foods Market in Overland Park, Olathe and Kansas City will give 10 cents per bag to customers who re-use their own shopping bags for their purchased groceries. Customers have the choice to accept their cash refund, or donate the cash back to the store’s chosen non-profit organization every quarter…and this quarter, it’s us! Honestly, this adds up…we have the chance to rescue over 8,000 lbs. of produce with this donation to feed our hungry neighbors. 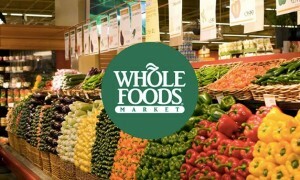 Shop at Whole Foods and donate your dimes to ATH this quarter!